Two San Diego icons — Bertrand at Mister A’s and the Marine Room — made OpenTable’s new list of the 100 most scenic restaurants in the United States. The ranking for 2017 released Tuesday is based on 10 million diner reviews submitted for more than 25,000 restaurants throughout the country. California reigned supreme with the most restaurants on the list — a total of 13, including five in the Los Angeles area — followed by North Carolina with six, and a number of states with five each. 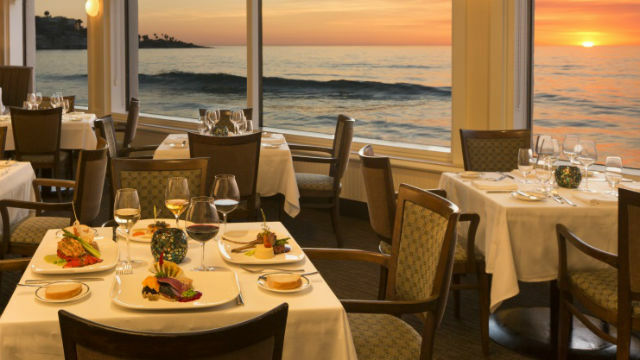 The Marine Room is known for its sunset views and waves splashing against windows, while Bertrand at Mister A’s offers a stunning view of the downtown skyline and bay.